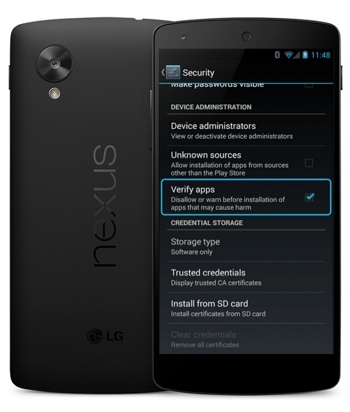 Your Android devices just got a lot more secure. Starting today, the Android operating system will continuously scan your installed apps for malware after installation, preventing Trojan horse apps from taking over your smartphone. “Building on Verify apps, which already protects people when they’re installing apps outside of Google Play at the time of installation, we’re rolling out a new enhancement which will now continually check devices to make sure that all apps are behaving in a safe manner, even after installation,” explains Android Security Engineer Rich Cannings on the Android official blog. The new security checks will operate in your phone's background. You'll only be alerted should a problem be detected — something Android's security team suggests will be a highly rare occurrence. Of course, even with this new layer of security from Google, keeping your Android device safe from malware and other threats is still your responsibility as its owner. Techlicious recommends you stay vigilant, keep your phone protected with a third-party antivirus app and avoid downloading software from sources other than Google Play or the Amazon App Store.